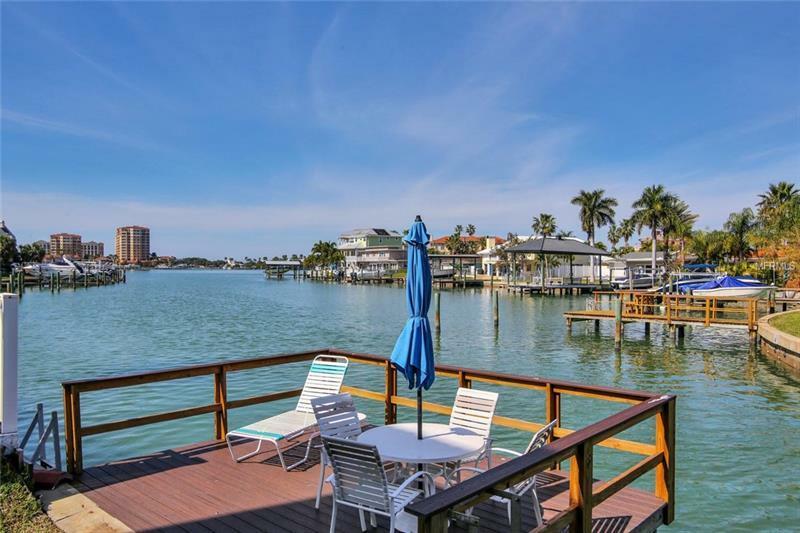 Enjoy incredible panoramic water view of sparkling Clearwater Harbor & Intracoastal Waterway from this beautiful updated spacious 1400 sq. ft. 2 bedroom 2 bath Northeast corner unit on Island Estates in Clearwater Beach. This spacious ready to move-in condo features all new kitchen bathrooms doors fixtures paint baseboards & new floors throughout appliances including washer & dryer A/C all outlets & switches & much more! The light & bright kitchen with breakfast bar has been completely updated with new soft close cabinets granite counter tops & stainless steel appliances. The spacious living room with sliding glass doors open to your private balcony where you can relax & watch the beautiful views. Spacious master suite with large windows with beautiful water and island views features a huge walk-in closed & updated master bath. With its open floor plan spacious rooms plenty of closets & storage space this condo has all the comforts of a home. This unit comes with one assigned parking space. This building is located on Island Estates & is within walking or biking distance to the Beach. Island Estates is a self-contained island conveniently located close to the grocery store pharmacy bank post office which are all found right on Island Estates. Or you can bike drive or take the beach trolley to all that Clearwater Beach has to offer; Pier 60 water activities the Marina great dining entertainment & the beautiful sugar white sand of Clearwater Beach. BEAUTIFULLY UPDATED & MUST SEE!! !